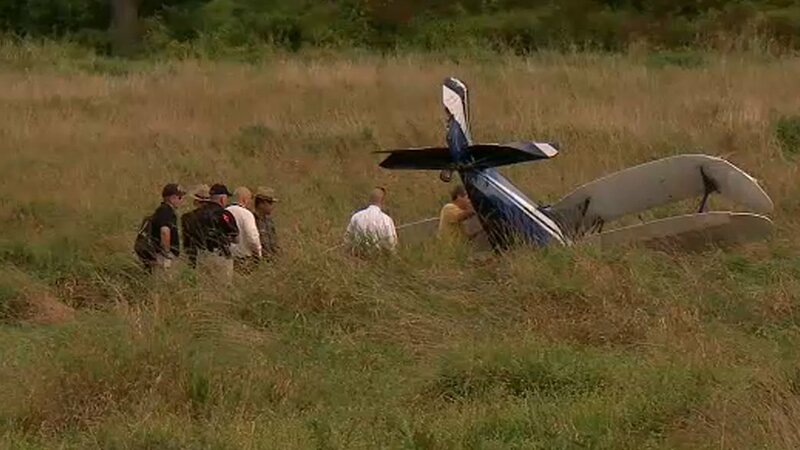 TUXEDO, New York (WABC) -- An investigation is underway after a small plane made a hard emergency landing in Orange County Friday afternoon. Authorities say 57-year-old Dana Hague of Clinton, Connecticut was headed to Warwick, New York when he began having mechanical problems. Hague saw smoke coming from the nose of his biplane. So, he decided to put it down in a field near Arden Road in the Town of Tuxedo. He says he bought the plane six months ago.